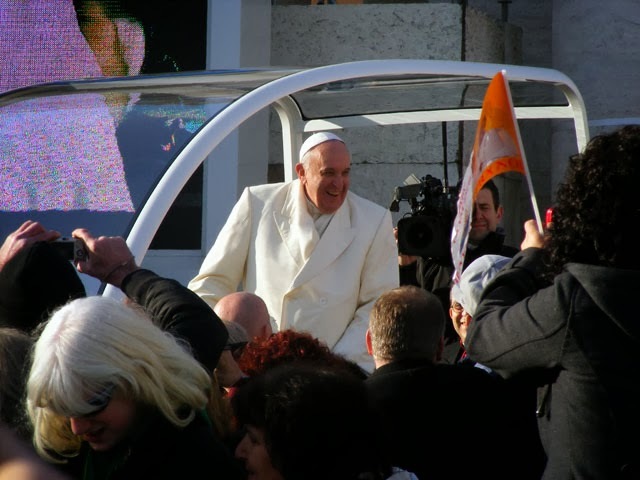 Since we were snubbed on Christmas Eve by the Vatican, we decided to head back for a second trip and see the Pope in person. We heard that every Wednesday, the Pope does a service where he blesses Holy Relics - and who doesn't have a few of those laying around they need blessed by the Pope. 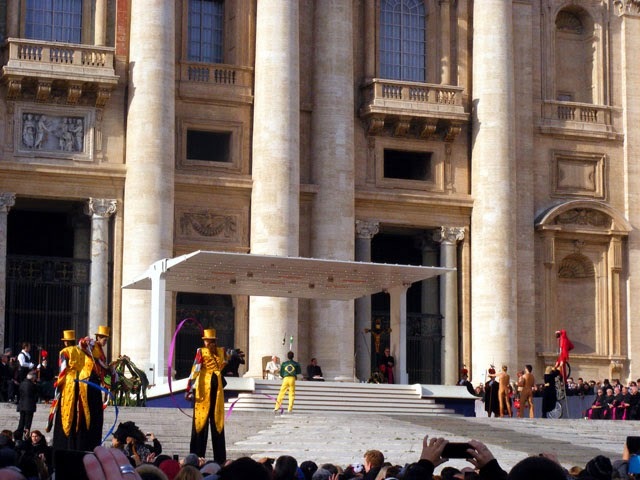 So we headed off to the Vatican to meet up with Papa Francesco (as he is called in Italy). 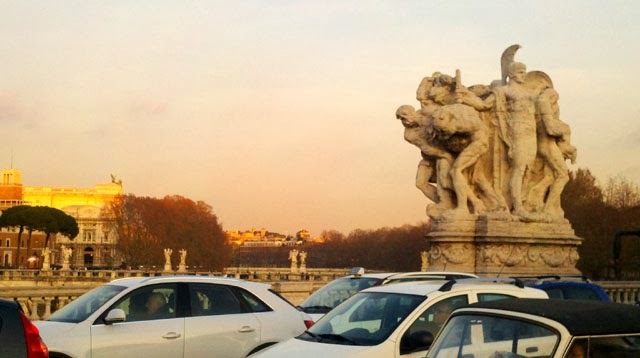 The bridge leading into Vatican City. 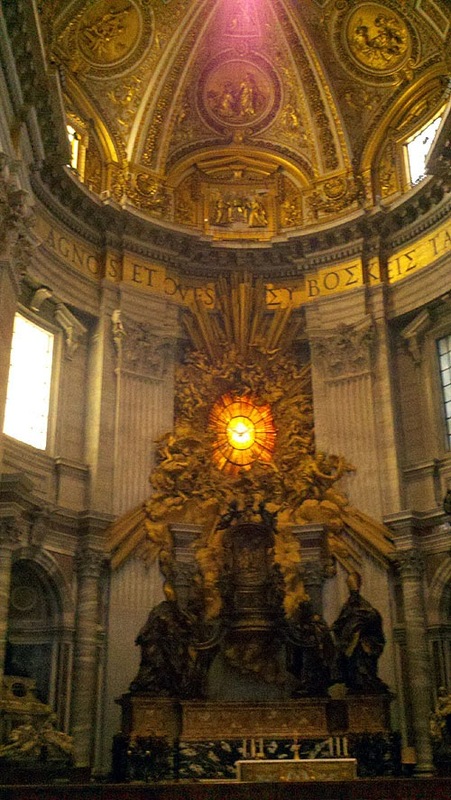 First we headed into Saint Peter's Basilica to take a look at the opulent glory of the Holy See. And it was quite impressive. Maggie had been there before, but it was Andrew's first time - and Saint Peter knew how to impress. Next it was off to see the Pope in his Pope mobile. On a side note, we learned an important lesson about Nuns. After a few elbows to the side, we learned never to get between a Nun and her Pope. 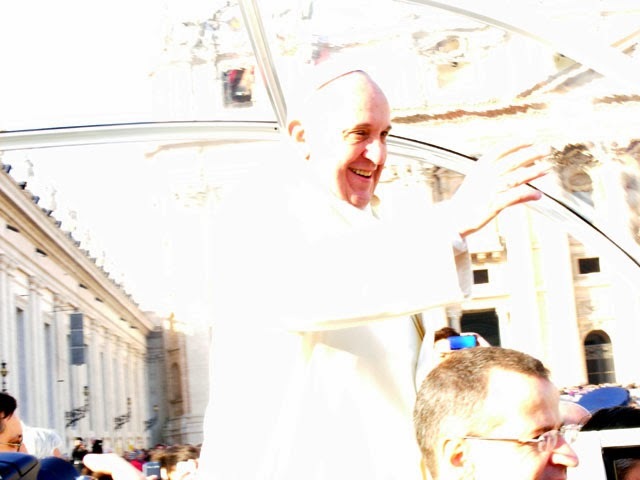 The Pope went around waving at the crowd, kissing babies and even posing with a few soccer teams as he made his way around before the service started for real. He glows with holy light up close... or the lens was left open too long, I can't remember which. After he was done making his rounds, he headed up to a throne that looked like it belonged to the Emperor in Star Wars and the service started for real. 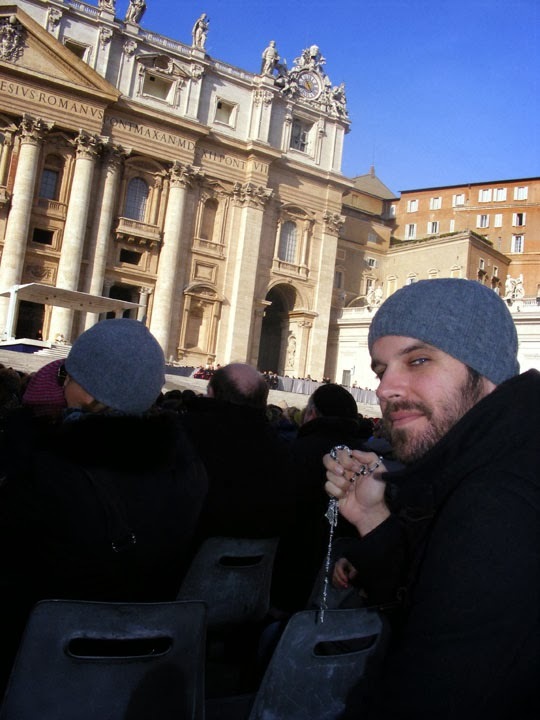 It was Andrew's first Catholic service and when it ended with a circus performing for the Pope, he assumed that was how all Catholic services went. 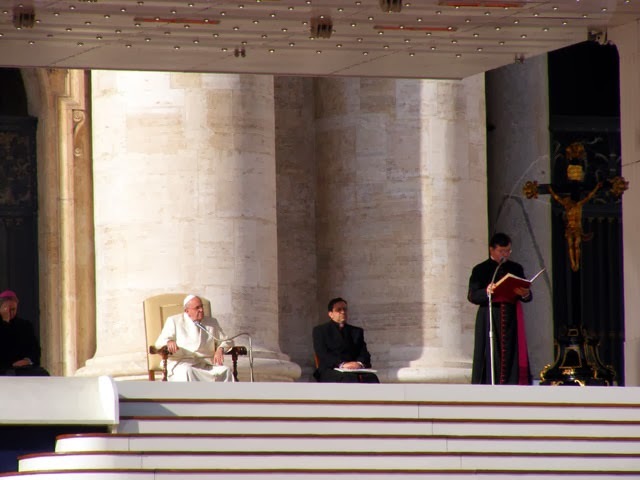 At the very end, the Pope did his blessing and all of our Holy Relics were blessed. Always good times with old Papa Francesco.